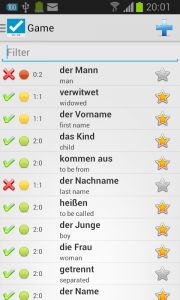 LingoBrain – German is both a game for Android smartphones and tablets, which helps you learn the vocabulary of the German language, as well being an (offline) dictionary with over 4500 words. 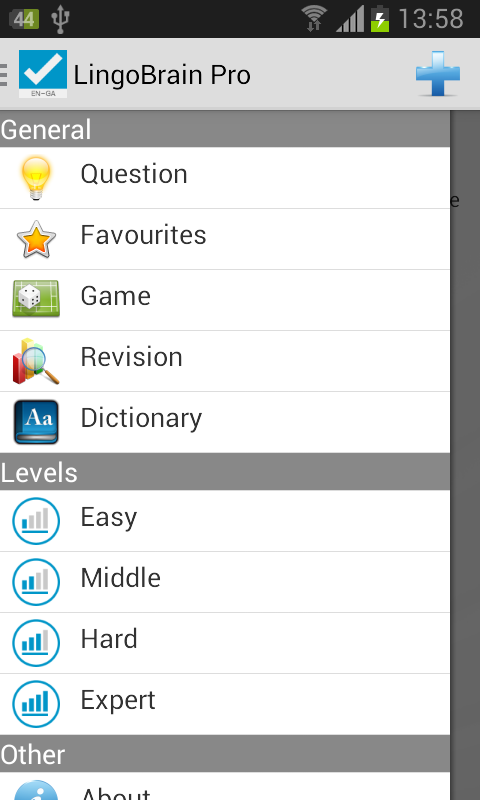 • Tests your vocabulary using multiple choice questions. This in itself is a helpful learning aid but the real strength of LingoBrain is that it remembers how often you got which words wrong. Each subsequent time you play the game (even if you shut off you phone/tablet in the meantime) it can maximize your rate of learning by focusing on your weak areas and asking you those questions first that you have had the most trouble with. • Allows you to create a list of personal “favourite” words. Words that you for whatever reason wish to concentrate on or mark as special. LingoBrain can then let you play a game asking you just these questions (if you wish). Anywhere you see a word in the game you just click on the star to make it yellow, and it will get added to your “favourites” list. Click on the yellow start again and it will be removed from your favourites. • Contains about 4500 German words sorted into 4 difficulty levels: Easy, Middle, Hard and Expert. The 25 most frequently used words in the German language are in the Easy level. The next 350 most frequently words in the language in the Middle level, the next 1250 in the level Hard, and the remaining almost 3000 words in the Expert level. • Allows you to search for any word by typing the first few letters in the “filter bar” at the top of the screen. Only words that start with the letters you typed will be shown. 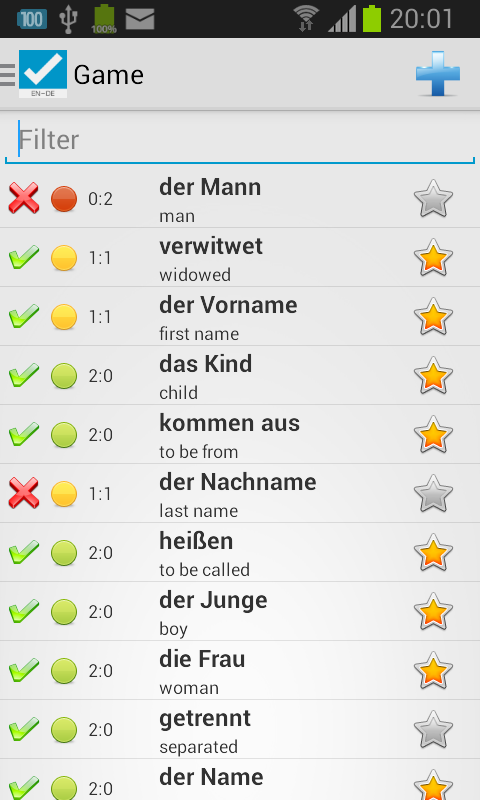 • Contain a high quality German-English dictionary with over 4500 words. (After you initially install the game) this dictionary is always on your phone and will work without you needing to have any internet connection or using up any of your bandwidth. 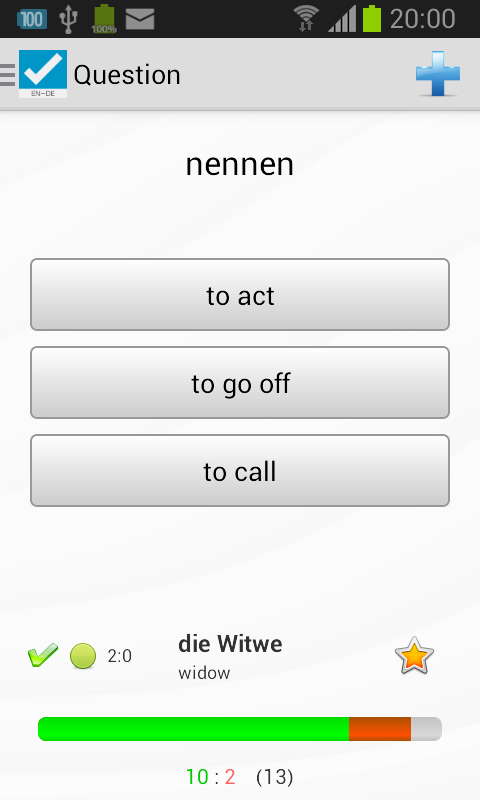 Alone this high quality offline dictionary makes LingoBrain well worth having. No more need to use flashcards or scribble on vocabulary lists. Let LingoBrain do the organization and keep score for you. Start with the Easy Level and work your way up. Stop after you’ve gotten about 10 questions wrong. Review the correct answers if you wish. 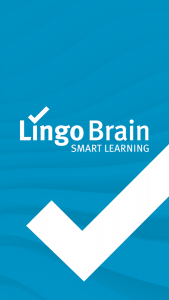 Then replay the game and LingoBrain will automatically ask you those questions first you got wrong (most often). Mark any questions as favourites as you play. Available now in Google Play Store, where you can try it free.